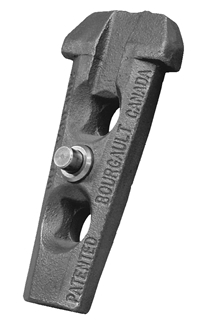 * Fits field cultivators with 47° shanks, except Bourgault and Ezee-On. * 1-3/4" (45 mm) center to center. * Oversize head plow bolts.